AuctionServices - Steffes Group, Inc. Since its launch in 2009, the Timed Online Auction Division of Steffes Group, Inc., has vastly grown in popularity. Through timed online auctions, Steffes Group, Inc. has been selling farm and construction equipment, specialty assets of all kinds, and real estate via its intuitive online platform. Online auctions operate both independently and in unison with Steffes Live Auctions. 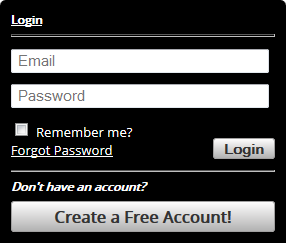 We also offer a regularly scheduled timed online event from the 1st Wednesday to the 2nd Wednesday of each month. Steffes also routinely conducts independent Timed Online auctions. These auctions range in size from large multi-location dealership group inventory reductions and liquidations to 10 piece sales. This method of doing business creates numerous benefits with few downsides for both sellers and buyers. First and foremost, online bidding allows anyone in the world, who is willing and able, to attend our auctions any time of the day or night. This effectively eliminates hurdles associated with bidding at auction. Online auctions can take place at your site or at one of our facilities. Bidders are encouraged to personally inspect or have an inspection done by a third party prior to the auction. With online auctions, all bidding takes place on the internet. Buyers pay for their purchases through a quick phone call to the location hosting the auction. Buyers then take possession of their items at the auction site or one of our facilities, or have it delivered to them via a transport company or UPS. 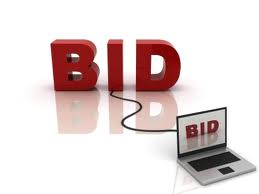 Online auctions allow bidding to take place anytime, anywhere, and anyplace. Bidders can view the auction items online 24/7 and in person on auction specified inspection days. Bidders are able to contact the owner of any item or the Steffes representative in charge of the auction with any questions. See item description for details. If you have any additional questions or curiosities remaining about the Timed Online Auction process or would like to consign a piece to our monthly online auction, please do not hesitate to contact one of our Steffes representatives at any of our 6 locations today! 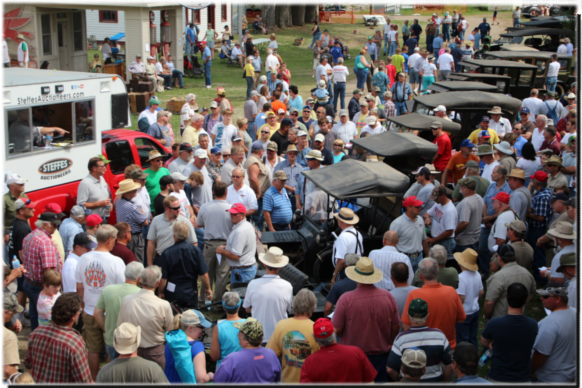 Since our very first auction in 1960, farm equipment auctions have been a hallmark of our service offerings. Since then, we have conducted thousands of these events, from single farm retirements to our large AgIron events. Our staff is knowledgeable, experienced, and well-equipped to turn your farm equipment into dollars. We have the best people, resources, and service that you can expect from our team here at Steffes Group to conduct an auction that ensures top dollar for your farm equipment. When you choose Steffes Group to conduct your event, you will be hiring some of the most seasoned and decorated auction professionals. You will have the advantage of worldwide exposure for your equipment ensuring the broadest and most focused audience of top-paying buyers. Our marketing efforts, in unison with our honest auctioneers and representatives, affirm that you will be choosing the right team to arrive at the highest “SOLD” price at auction time. Be it a single piece that you may want to sell at one of our large multi-ring AgIron events or an entire liquidation of your 30,000+ acre farming operation including land and farmstead, rest assured that we have the experience, resources, expertise, and professionalism to get the job done right. If you're thinking about selling or perhaps you want some expert insight on current valuations and market trends, do not hesitate to contact us today. Our consultations are all confidential and our advice is free! Since 1963, Steffes Group, Inc. has been conducting farmland, pastureland, timberland, and farmstead auctions. We have also sold a vast array of commercial real estate, recreational land, and a variety of unique acreage and property. Decades have passed and we have since carried out a large number of real estate auctions for clients who have been happy with our top dollar results and genuine care for individual challenges and circumstances. We know and realize that selling your land is a big deal. For farmers, this means selling your livelihood or land held for multiple generations. For investors and independent owners alike, this means liquidating a portion of your holdings. Accordingly, we believe the liquidation process should involve a number of seasoned professionals who are truly focused on the client until we arrive at the highest "SOLD" figure possible. We assess each client and project on an individual basis, as every client and parcel of land is different. We feel there is no cookie cutter way to approach real estate auctions. Our advertising efforts are interactive and ever evolving. Our market exposure is both broad and focused to attract top paying buyers and our results are top notch, proven to be successful. Representatives at all of our locations are equipped with the experience, tools, and resources that are needed to ensure the highest dollar amount for our sellers. All actions are carried out with the integrity that you can expect from us in any of our dealings. If you're thinking about selling your land or are curious about the auction process and what we have to offer contact us today, we would be more than happy to help you! Forage Auctions are conducted on a bi-monthly basis in the winter months and once a month during summer at our Litchfield, Minnesota facility. Our forage auctions provide an excellent opportunity for both sellers and buyers. 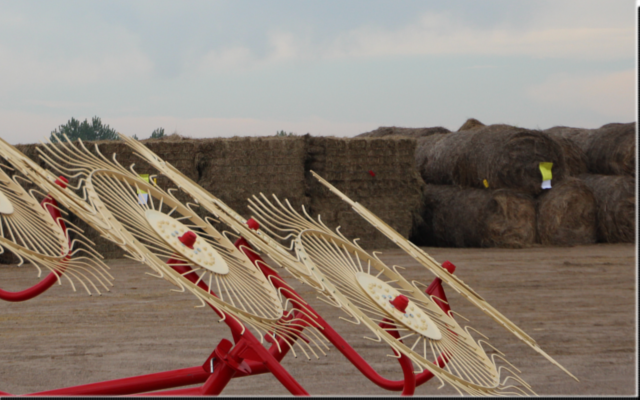 At these events, you will find an array of high quality alfalfa, grass, and straw being sold to a wide audience of eager buyers bidding on forage grown all over the Midwest and Canada. Prior to being sold, all forage is tested on site by Dairyland Laboratories the morning of the auction. This ensures your top quality hay is recognized as such and that bidders bid with the utmost confidence because they truly know what they are getting. Bidders enjoy the heated indoor environment as forage is driven by our transparent overhead doors lot by lot. With questions about buying or selling at one of these bi-monthly events, please call our Litchfield, MN office at 320-693-9371. As a company that has been in the auction industry since 1960, we have sold just about everything at auction - from firearms, sporting goods, art collections, factories and production facilities of all kinds to motorcycles, cars, and numerous business liquidation auctions. You name it and we have probably "SOLD" it! Through conducting a large variety of auctions we have found the fundamentals of an auction remain the same - planning, buyer education, marketing, organization and coordination of the sale, being true to our word, and most importantly treating you like we would want to be treated. These factors are what makes us consistently successful in the auction environment and are always implemented to ensure top dollar. Whether you are selling a toy or perhaps an entire vast collection of rare or unique items please contact us at any of our 4 locations.We would love to discuss your ideas and present a plan of action!